A saying used daily in many circles is “you can’t teach old dog’s new tricks”. This is simply not true. A dog of any age will learn when motivation and circumstance permits. A human being can obtain a higher degree whilst simultaneously drawing a pension. 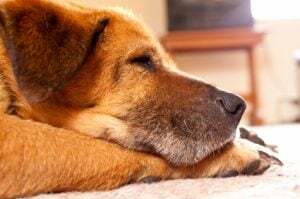 A middle aged or elderly dog can learn equally well. It is undoubtedly true that a puppy is usually very trainable. Alongside the training of a puppy an owner must also tend to the socialization needs of their dog. Many adult dogs are re-homed or rescued every day. Each of these dogs will learn to cope and interact within their new home. Many settle with few problems. Even if no tricks are taught or formal obedience learned, the new owner is training an older dog. Military and some assistance dogs are all trained as adult donated or rescued dogs. The learning process often begins late in life for them. If a hearing dog moves from one deaf recipient to a different one in latter canine years he will learn new things. Each hearing dog is catered to a particular recipient therefore new sounds have to be learned. Using the motivational technique of reward based training the older dog usually learns quickly and easily. There are great benefits to training an older dog. Learning can help focus your dog’s thoughts, mentally stimulate him and help to slow any onset of confusion or dementia. Training will make your dog mentally happy and healthy regardless of his age. Training an older dog can be a culture shock for both of you. It can be harder if you have lived with the dog for a long time. Asking your dog to do something out of the ordinary can come as a surprise. The dog will usually enjoy the change of routine and individual attention very much. As with all dog training regardless of the age of dog, positive and reward based methods will get the best result. Motivation is sometimes more effective for an under stimulated older dog than a young keen puppy. Work out what best motivates your dog. If he has received no training for some time or is a new dog to you then this can take a while. You will see when your dog is motivated by something by his behavior when the thing is produced. His eyes will light up, tail will wag and he may become physically excited and attempt to take the rewarding item from you. Treats are a regularly used motivator. If you are considering treats for motivation it is worth starting by experimenting with the less tasty end of the scale. By doing this you will leave yourself with the option of a further and more motivational reward later on. Toys are another good option. If your dog likes toys then find a great one that he prefers. Only get the special toy out during training times. Put the toy away at the end of each training session whilst your dog is still excited by it. Physical praise and handling is all some dogs need for motivation. Training an older dog that has not learned anything new for a while means that you must put some effort into motivation. A dog that is in the habit of settling down and staying in routine for many years may not be keen to change this. 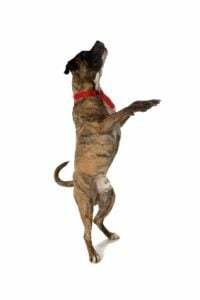 Clicker training is a fabulous activity for dogs of any age. It is also great fun for a handler. Watching a dog that you have known for a long time display new facial expressions, whilst they learn, is wonderful. Clicker training provides an “I am working this out” look. It builds confidence and makes dog training fascinating and fun. Training an older dog that has established bad habits can be difficult. Removing unhelpful habitual behavior and replacing it with something more useful usually calls for an approach of ignore the bad and reward the good. The dog needs to learn to offer a different behavior to the unhelpful one. By completely ignoring any unhelpful behavior you remove attention away from the dog. If the behavior is to seek attention your dog will not receive his reward until he offers a different behavior. If the better behavior is not automatically offered then it should be quietly prompted. This is an approach that works well when training an older dog. Local dog training classes are not all full of puppies. Many providers offer specific sessions that include training an older dog. Training classes are fun and social. Stimulating your dog and working out how to help him learn is great for the human mind too. Research on positive dog training will open up a new world to you. You will certainly wonder why you didn’t teach your old dog new tricks before. The internet has opened up the world to us in so many ways. People can work alongside work colleagues regardless of location. Social networking has become a huge part of our lives and enables us to stay in touch easily and effectively. We can have face to face phone calls with friends and family on the other side of the globe and obtain a university degree and other top level qualifications by distance learning. There is absolutely no reason why, as dog owners we cannot learn the basic theory of our dog and his behavior online. Practical online dog training advice can be a great success if delivered by a professional in a suitably understandable manner. Cost – Expert advice costs money and dog training advice is no different. An understanding of basic dog training can be learned by reading and gathering research from suitable websites or providers. By taking part in organized online dog training and canine behavior education you will get expert advice at a fraction of its normal cost. Expert learning- There are plentiful dog trainers in the world but relatively few good and learned dog experts. By research and choosing a provider carefully you are enabling yourself to learn from a top class dog trainer or behaviorist. Such learning is regardless of location and usually at a fraction of the cost. Training type – Positive reward based dog training is crucial for online dog training. If you are teaching a dog anything at all it must be based in kindness and reward. Any provider of this service will strongly emphasize dog training techniques based in reward and enjoyment. Continuity – An entire training course from the same expert is a good idea. It can be difficult enough communicating with and training a dog. 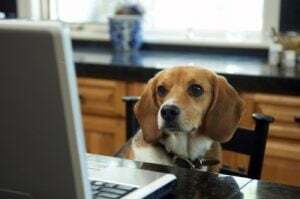 By entering into an online dog training course that covers understanding and progressive training you will be receiving expert advice during the entire training of your dog. By dipping into the work of various experts it could be easy to become confused and therefore baffle your learning dog. Included support – Many good experts that offer online dog training help also offer the opportunity for community support. This can be based on a regular blog site or forum access. A good dog trainer will also offer personalized online dog training support for any exceptionally difficult problems encountered. This can be in the form of either Email, ticketing support system or even a live online conversation option. The risk of accepting that any dog trainer is an expert is immense. There are so many out of date dog training techniques. For the keen or even desperate dog owner the internet can be a very dangerous place. Video sharing sites are packed full of people trying to show us how to train our dogs. Anyone that has a good grip on positive dog training can become pretty distressed by watching some of the poor advice offered online. Any online dog training video search will probably quickly bring you to some type of dominance based advice. Beware of this, it is not effective or kind dog training and can be dangerous. The “alpha roll” is one of the most popular methods advised by this type of trainer. The owner is advised to roll their dog on its back to establish dominance. Based on inaccurate dog behavior knowledge and on misconstrued wolf behavior this is an easy way to provoke a frightened dog to bite. A good tip when watching any online dog training video is to turn the sound down and watch the dog. Without the commentators distracting voice you will be able to see whether the dog is happy or stressed. Look for calming signals and displacement behaviors such as yawning, scratching or excessive sniffing. These will all be clues to exactly how well the trainer is communicating with the dog. Here at the Dog Trick Academy, with the help of our expert trainers, we offer a complete 8-week positive training (reward based) home-study training video course. It literally teaches everything from the basics to the more intricate training techniques, that will teach you everything you need to know about positive training. Click here to learn more. The Search and rescue dog team is an invaluable resource. Often working on a voluntary basis, handlers train their dog to find people that are lost, injured or at risk. Search and rescue dog training teams are employed during natural disaster times all over the world to detect the whereabouts of injured or trapped people. Tirelessly working with their nose through tiny gaps in the rubble left behind from major earthquakes, detecting any human or animal trapped, search and rescue dogs and their handlers have saved many lives. There are often search and rescue dog training teams on or in the immediate area of national parks and mountainous areas. Hikers can often lose their way during severe weather change and difficult walking conditions Dogs with their acute senses of both smell and hearing assist greatly in locating lost people on hillsides. Police forces will employ dog teams to aid in the search for missing people. Parkland and urban woodland can be searched effectively by a dog and his keen senses. One Search dog team can do the work of many men. The Border collie is often employed as a search and rescue dog. A dog bred for rounding sheep and a busy, outdoor lifestyle. The stamina and hardiness of this breed of dog means it can, when fit and healthy work for long periods of time with little need for rest. When many lives depend on the dog’s performance the ability to do this is invaluable. Other effective search and rescue dogs are German and Belgian Shepherd’s, Labrador and golden retrievers. The dog is working for the reward that he gets on finding the human, commonly known as the “body” in search and rescue dog training circles. The reward can be a toy or food and the training will need to be built up so that the dog has the stamina to search for a long time, sometimes many hours. Search and rescue dog training will focus on scent. Dogs are trained to detect the scent of a human being and lead their handler to it. Scent training is a great experience for the dog and his handler. A lost person in extreme weather conditions will naturally attempt to crawl into a space and keep warm. If lost for a long time the person can lose consciousness and develop hypothermia. When unconscious the person cannot draw attention to himself so the search dog training team’s efficiency to locate a scent is a vital addition to search. When a human being is out in a rural area he will create something called a scent pool. The natural scent of a person consists of bodily odors, clothing and disturbance of the area such as crushed vegetation. The scent pool will either accumulate in a rough circle around the human or create a cone like area of scent dependent on wind, other weather and environmental conditions. Search and rescue dog training focuses on the dog detecting this scent and finding its source. On recognizing a scent, the dog’s behavior will change. This exact change will depend on the individual dog, some dogs check pace back into the scent and others become busier with movement. Every search and rescue dog handler will recognize his dog’s indication of scent and know to encourage follow up of this sign. Indication is one of the most important factors of search and rescue dog training. Search and rescue dog training teams often work together in groups on day or weekend long events to work their search dogs. Volunteers without a dog can join them to act as the “body”. This is an important role which can vary between encouragement for new dogs in training and progress to many hours hiding in the hillside, often with a book and sleeping bag. By hiding and offering a reward to the dog when he locates them these volunteers are helping to build the foundation of effective trained dogs. Volunteering as a “body” for search and rescue dog training is a rewarding and worthwhile experience. This type of volunteering is great fun and extremely social. Owning your first dog is an educational and enlightening experience. Each and every dog that you live with will teach you something new about the canine species. There is a lot of dog training advice to tap into on the internet and in written publications. Puppy training advice will be based upon the fundamentals of house training and socialization. Turning a young puppy into a well-rounded family dog is no easy job. It is essential to research a little about how a dog learns before deciding to take on a puppy. With such a young dog you will have a blank canvas. You have the opportunity to mold a perfectly socialized dog that is well mannered and happy. 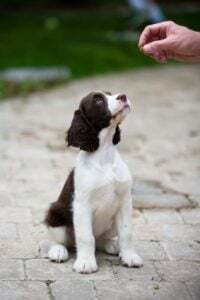 If you have a dog that is passed puppy-hood and has learned some unhelpful behavior then you may need to look into obtaining some dog training advice. Sometimes it is easy to inadvertently train your dog to behave in an unhelpful manner. If this is the case with your dog, a good trainer or behaviorist will explain what has caused the problem behavior along with giving dog training advice to improve it. If you have rescued a dog, you will first need to deal with any unhelpful behavior that he has learned in the part of his life before he came to you. Not all rescue dogs bring problems. Many rescued dogs settle quickly and are no trouble at all. Any sound and effective dog training advice is based upon behavior modification using positive reinforcement. When looking for dog training advice you must be very careful. There are many people that are self-proclaimed dog trainers. Dog training certificates can be obtained for some by completing a short distance learning course over the internet. When looking for dog training advice keep in mind the methods that are proven and always used by properly educated dog trainers and behaviorists. Look for the information on their training techniques and if applicable research their particular qualification. To find a good professional look for someone that uses positive reinforcement during dog training. Reward based and behavior modification is a must when training your dog. Dogs effectively learn by motivation and kindness, just as people do. Positive dog training will reform your dog’s behavior forever. Clicker training is one of the best known positive dog training methods. There are many risks to look out for when finding a dog trainer. One of the biggest misconceptions is pack leadership and dominance based advice. Dated and dangerous this type of dog training bypasses any positive communication with your dog. Dominance based dog training advice simply and wrongly assumes that your dog is trying to take over the household. Simply put the dominance theory encourages confrontation. Dog and owner confrontation achieves nothing but misunderstanding and distrust. Particularly considering that the dominance theory has no interest in any other explanation for the behavior. The dog is a wolf and you must be his pack leader is a hollow and uneducated way to look at canine behavior modification. Being a pack leader is still often followed up by the one cap fits all advice of the house rules of living with a dog. Eat first and pretend to eat from the dog bowl, go through doors first and don’t allow the dog on the sofa are all fruitless dog training advice given by this type of trainer. Dog training advice that is not based on kind behavior modification can often mask behavior, or even make it worse in the long term. Some trainers frequently use aversion techniques. A filled water bottle to squirt at a barking dog is a common example of this. Such treatment may stop the behavior without physically hurting the dog therefore it seems to work. It has not worked in the long term but simply masked the behavior. The feeling within the dog is still there. For example if the dog is fear barking, squirting him with water will not remove the fear. This reaction may even make the fear worse. The fear based behavior will simply manifest in another way. Good dog training advice is based on working out the reason for the behavior then kindly helping the dog to learn a different behavior instead. A good trainer will observe before offering advice. Positive dog training will inform you as the dog’s owner why a particular behavior is manifesting and offer positive advice on modification. Deciding to offer a home to a dog is a big decision. You’ll be committing yourself to taking care of an animal for the rest of its life. The needs of any dog must be met consistently to ensure that this decision to have a dog works out perfectly. Exercise, mental stimulation with positive reinforcement and health requirements all need to be taken into account when working out how to choose a dog with success. If you are a first time or inexperienced dog owner the first thing you must learn is not to choose a dog purely based on the way it looks. Breed research is a necessity. The new dog must be matched to your lifestyle. As a new owner, you will need to be completely honest about your own capabilities to take care of a dog. Choosing a dog on looks alone can be a disaster. An example of this is the Border collie. This breed of dog looks stunning. Properly trained, exercised and socialized the collie is a beauty. 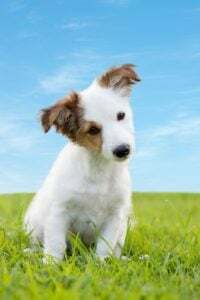 If the dog is taken into a home as a puppy, not given sufficient exercise or socialization and eventually completely misunderstood, the Border collie can be extremely difficult to live with. If the dog’s needs are not met he will struggle with an excess energy that can manifest into unhelpful behavior. It is usually at around ten months to a year old that unwanted Border collies are given up by frustrated owners. When deciding on the type and age of dog to take home, you must be honest with yourself about whether you can meet their needs. Luckily for us, all dogs have basic needs on different levels. When researching how to choose a dog you simply need to match the individual canine needs to what we are able to offer as a responsible owner. Are you able to commit to the socialization and training needs of a young puppy? It’s not enough to offer a home to a puppy and simply allow it to act as it pleases. When taking on a puppy you will be committing to toilet training. Socialization and the requirement of teaching the young dog how to behave are a necessity. It is nice to have a puppy if you have the time and effort available to mold him into the dog you want him to be. It is also not necessary to have a dog from puppy-hood simply to have a well behaved dog. The rescue world is full to overflowing of nicely behaved older dogs desperate for a kind and comfortable home. These adult dogs are of all shapes and sizes, have differing energy levels and stimulation needs. Good rescue centers in any area would be happy to work with you towards how to choose a dog that fits into the home you are offering. An efficient rescue center, dog trainer or behaviorist will assess your home and experience then match you with a number of dogs that would fit perfectly into your lifestyle. You do not need to be an athlete or mountain climber to have a dog in your home. Many dogs need far less exercise and are happy with a potter around the local park every day. Different dogs will need different levels of training and mental stimulation. A dog bred for working, for example a jack Russell terrier, will have high requirements for mental stimulation. If you do not have the time to attend training classes or stimulate your dog’s mind in another way then you will need to choose a breed that copes well with a more relaxed lifestyle. The middle aged Staffordshire bull terrier will be more than happy to occupy the couch for a lot of the day, whereas a young setter would be dissatisfied with this as a lifestyle and probably unhappy. So how to choose a dog responsibly will involve breed research, consideration of exercise and training needs and being honest with yourself about what you can offer to your new friend. By putting the effort into choosing the right dog before making any decisions you are most likely to succeed with the choice that you make. The Benefits of Therapy Dog Training. The Therapy dog is a concept that has changed the lives of countless people. Organized therapy dog training is common. Charities that provide trained dogs for recipients that live with disability are becoming established in many countries. 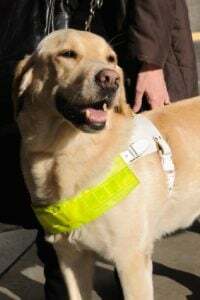 Guide dogs for blind people are one of the earlier formed organizations but they are now closely followed by others: Hearing dogs, Seizure alert assistance dogs and the canine trained to help disabled people with physical tasks. The dog is an amazing companion. Constantly loyal and steadfastly intelligent, it is not surprising that we have created a role for the canine by using therapy dog training. The guide dog is trained to physically lead their human partner through everyday life. Hearing therapy dog training teaches the dog to alert his owner to everyday and important emergency sounds. The physically disabled recipient of a specifically trained dog benefits from help with various tasks including shopping and household chores. Pets as visiting therapists to both hospitals and residential homes are extremely popular. These canine visitors are often the highlight of an elderly or sick person’s week. Most people when seeing a guide or hearing dog know the dog’s general position. They have an idea of what these dogs do and are not surprised to see them out with handlers in a working role. In the background behind the main types of therapy dog training there are many others doing an equally important job. Dogs are trained to give prior warning of human seizures. 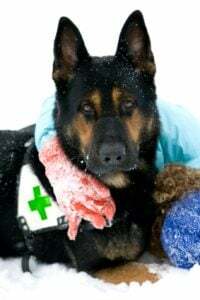 They recognize the chemical imbalance in their handler on the build-up to a seizure and alert their human to prepare and get into a safe place. Dogs are employed in partnerships with people that suffer from anxiety attacks and other psychological illness. The solid and dependable canine can provide a unique and safe relationship to a nervous or mentally traumatized person. Recent therapy dog training has included recipients suffering from Post-traumatic shock syndrome. Dual purpose dogs are employed to become an invaluable partner to a deaf blind person. These dogs literally become someone’s eyes and ears. Dogs are long known partners of children with autism. The wagging tail and gentle eyes of a dog can support a troubled child at exactly the point he needs it. The partnership of strength and alliance between a therapy dog and his human is amazing. Any dog owner will tell you that the relationship between their canine and themselves is unique. Often people state that their dog understands them and is always pleased to see them. The forgiving dog brightens their day. It seems that the benefits we receive from our pets are only the tip of a huge iceberg of service offered by the canine species. Many dogs provide intensive support to their owners with no therapy dog training at all. Or well outside the level of their formal training. It is usual to hear from a dog owner that their pet helped them through difficult times. Dogs provide support as part of their nature and as human beings we channel such support into the role that is most useful to us. Part of the beauty of therapy dog training is the need for reward based reinforcement. The specific role and need to be so close to a potentially vulnerable human being requires the best and highest quality dog training techniques. A dog will not take the washing from the machine just because you tell it to. A dog is far more likely to do the job if there is a reward offered. The role of therapy dog must be taught and reinforced with kindness. Therapy dog training is intensive and can be taxing on the dog, just as any intensive learning is challenging for a human being. Many functions must be taught in a set amount of time. Usually therapy dog training is personalized and the dog trained specifically to fit into the lifestyle that he will be joining. With personalization in mind the dog’s nature is also matched perfectly to his new home. A therapy dog must be happy and continually rewarded for his service. It is the only way to get the best from him. Positive and reward based training will create and maintain a successful canine and human partnership.